Check out the project I was able to do with this great kit! I love that this card has plenty of room on the inside to write a note to a long distance friend or relative. Does this card fold look familiar to you? 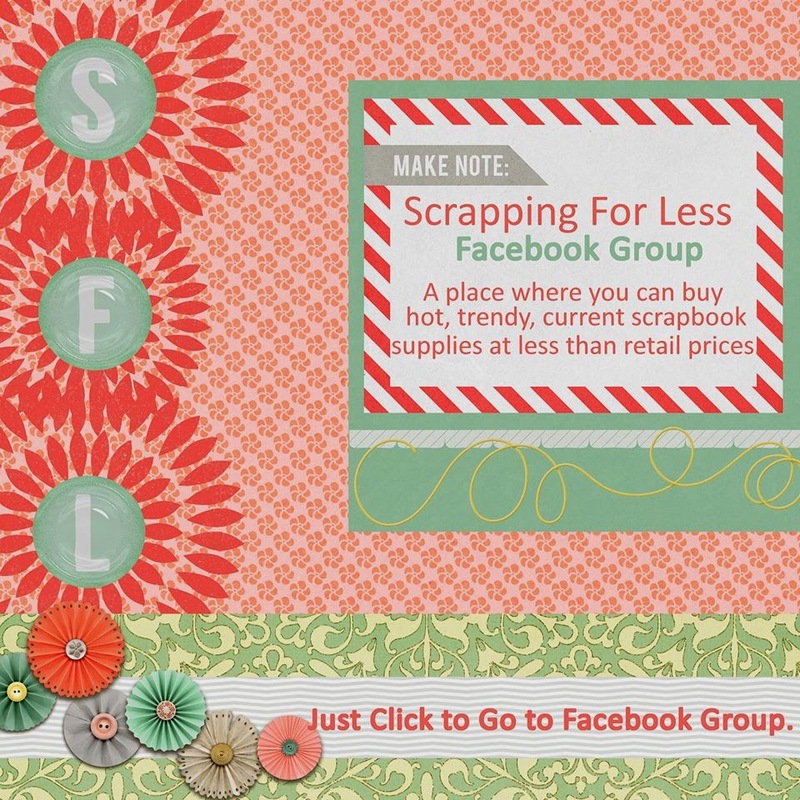 It is our current challenge over at Scrapbook Blessings Club. To check out the challenge head on over here. 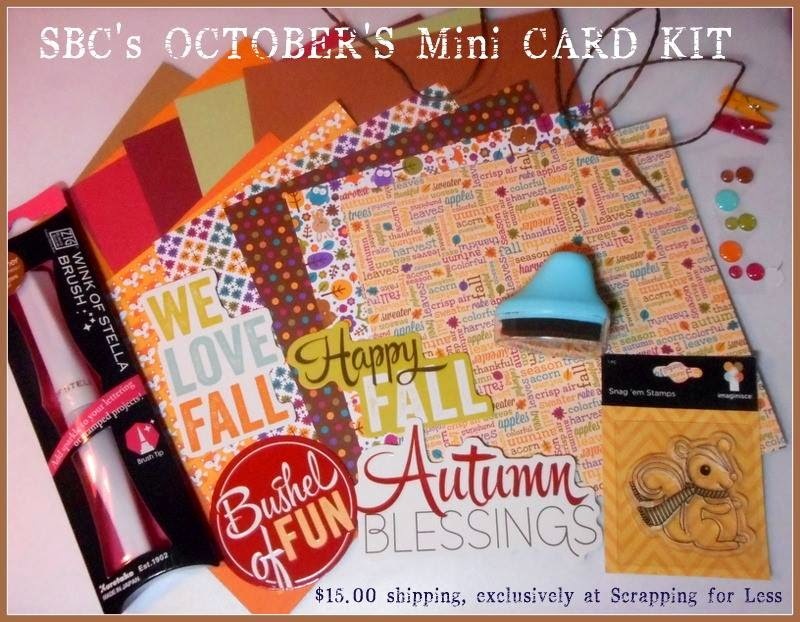 These card kits are perfect for all levels of scrapbookers! So whether you are a newbie or an experienced scrapper, these kits have everything you'll need to create fast and easy projects. All you need to do is get out your scissors, paper trimmer and adhesive. Why card kits? A couple reasons, one is getting fabulous papers and embellishments from popular Scrapbooking Companies, without buy a ton that you never use and letting it all just sit in the drawer. Our kits are $15.00 which INCLUDES shipping! Now for the most important detail...What is October's Card Kit and how do you get it?!?! 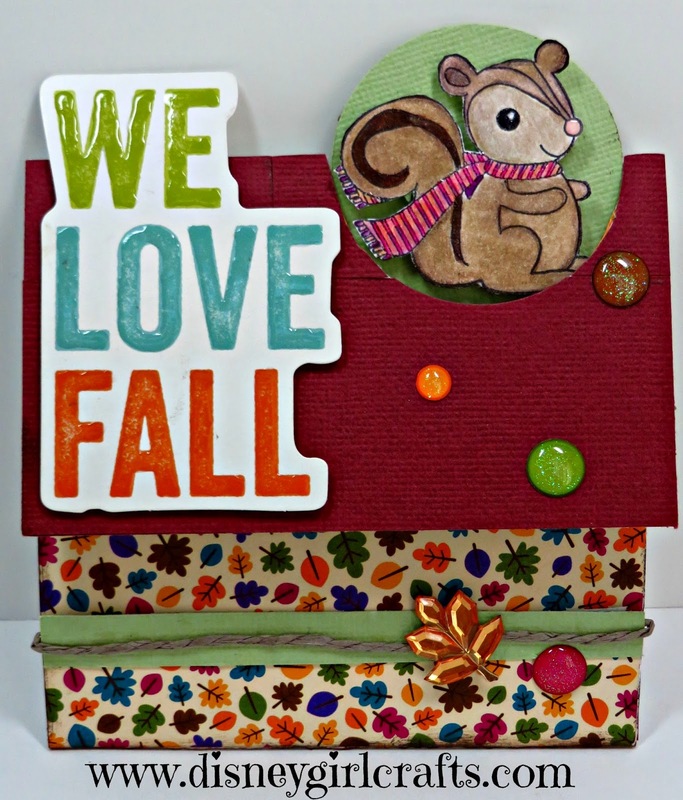 Check out the Card Kit video (above) plus many inspiration pieces made by the SBC DT! If you leave a comment on each blog and come back here letting me know, you will be entered in the random drawing for one October Card Kit prize. Did you join the hop and leave your comments? Go back to SBC and let us know! WINNER WILL BE PICKED AND POSTED ON OCT 4TH during our 1st B-day party! Hope you have a magical day and thanks for stopping by! I love fall too! Awesome card and I like the style - this style is on my list to try! The little squirrel is so cute! What a fun kit! cute, cute card. love the sqiurrel. i'll hop with you. Love this card all my favorite colors and that design is very cool! I will have to try this out!